Gestational diabetes is a term that refers to a type of diabetes that occurs in the pregnancy. Women is diagnosed with this disease if she hasn’t been previously diagnosed with diabetes but starts to exhibit high blood glucose levels while she is pregnant. This typically occurs during the third trimester of pregnancy but most of the women are diagnosed even since the first trimester. In most cases, gestational diabetes does not involve any kind of symptoms and it is typically diagnosed during the routine blood test, which is mandatory during pregnancy. Gestational diabetes affects about 3 – 10 percent of all pregnant women, and it requires lifestyle modifications and careful medical attention. 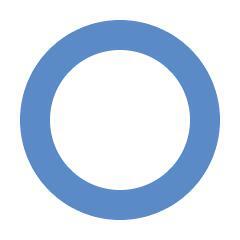 As already stated, gestational diabetes rarely cause any kind of obvious symptoms. However, women should carefully examine their body and talk to their medical care providers if they notice any kind of unusual changes that may look like symptoms of high blood sugar. These symptoms include increased thirst, frequent need to urinate and constant feeling of tiredness. However, these symptoms are very common even in the normal course of pregnancy. That is why taking regular blood tests and screening the body for changes remains the most efficient way to prevent complications. How does it affect the child? Gestational diabetes affects both mother and her child. However, complications are rare if blood sugar levels in both mother and child are well controlled. Mothers are at risk of premature labor, delivery complications, high blood pressure and developing type 2 diabetes mellitus after pregnancy. Gestational diabetes affects the baby by making it grow larger than normal. This may result in a difficult delivery and various delivery complications such as injuries or damaged nerves. Babies are also at the higher risk of jaundice, yellowing of the skin and whites of the eyes. These babies are also at the higher risk of various birth defects such as respiratory distress syndrome, and stillbirth. Some of the consequences may become visible as the child grows up. For example, these children are at increased risk of becoming obese or developing diabetes during childhood. Gestational diabetes most commonly affects women who have had a previous diagnosis of gestational diabetes or prediabetes. Women over 35 years of age, and those who have a family history of type 2 diabetes, are also at high risk. Being overweight or obese severely increases the risk factor, as well as being a smoker, having a short stature or suffering from polycystic ovarian syndrome. what problems could type 1 diabetes cause?